TS-XPBL-332710-20D is hot pluggable 3.3V Small-Form-Factor transceiver module. 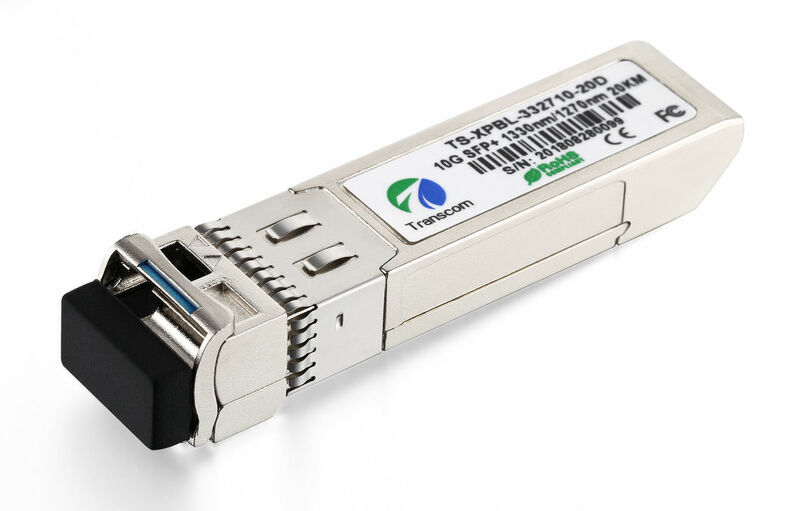 It designed expressly for high-speed communication applications that require rates up to 10.7Gb/s,it designed to be compliant with SFF-8472 SFP+ MSA. The module data link up to 10km in 9/125um single mode fiber. The optical output can be disabled by a LVTTL logic high-level input of Tx Disable. Tx Fault is provided to indicate that degradation of the laser. Loss of signal (LOS) output is provided to indicate the loss of an input optical signal of receiver or the link status with partner. Compliant with SFF-8472 SFP+ MSA. Compliant to SFP+ SFF-8431 and SFF-8432.